Body contouring has risen to the forefront of plastic surgery interest in recent years. Thanks in large part to the growth of fat grafting and the continued popularity of it’s partner procedure liposuction, patients have realized more and more than the removal and/or transfer of fat can create profound changes in their body’s overall contour. Side-by-side with the rising awareness and interest in body contouring is that of non-surgical procedures. An entire population who previously weren’t interested in cosmetic procedures are now very interested in what these non-surgical devices can accomplish. Board certified plastic surgeons discuss the latest in this burgeoning field, highlighting many of the devices that may offer more than they give, while praising others that are truly offering substantial results. Body contouring procedures are fairly straight-forward: they look to recontour the body! Patients who have more heft in their midsection than in their buttocks may benefit from the reversal of that situation through fat grafting and liposuction. Perhaps a patient’s hips would be more pronounced and “curvy” if just a bit of fat was removed from the waistline – and maybe even added to the upper buttocks. Yes, it is as magical as it sounds: fat is removed via liposuction from one area and inserted into another, allowing surgeons to work as sculptors with heightened nuance. Some patients, such as those who’ve lost tremendous weight and suffer from loose skin, also see huge positive fixes with body contouring procedures. While treating loose skin from massive weight loss patient involves scarring, the trade-off for contour – the kind of contour a patient can flex in form-fitting clothing – is readily made by patients. Loose skin, after all, will never spring back; surgery is a necessity. These situations alone are driving many patients in to see how they might improve their own body’s contour, or finish the long, long journey of massive weight loss. They have seen before and afters, spoken with and decided upon a surgeon, and committed to surgical rejuvenation. For the would-be patient that stops short of surgical intervention, or a patient who may have “smaller” issues, are there any non-surgical body contouring procedures worth pursuing? Seemingly negative, Brzowski hits one of the most important points of non-surgical body contouring devices: they can work quite well, in the right patient. For example, the CoolSculpting device “freezes” small areas of fat, killing a percentage of the cells which are then removed by the body, ultimately removing fat. This process, cryolipolysis, absolutely is proven to work. The big but, however, is how much fat a patient is trying to remove, and will the contour of their body be aesthetically pleasing when the removed fat has disappeared. Is it just a small area in the abdomen? That little bit at the bottom that seems exercise and diet resistant? Non-surgical devices may work exceptionally well for this. If there are large areas of fat on the abdomen, flanks, love handles, however, non-surgical devices may leave their patients wanting and unsatisfied. “I will say the one exception in my practice has been Cellfina,” says Brzowski. “Cellfina is a subcision technique that releases the dimpling [of cellulite].” Cellfina deals with body contouring in a different way. Instead of looking to tighten skin or remove fat, the Cellfina device is aimed at smoothing the dimpling caused by cellulite – a small but incredibly bothersome aesthetic ailment that affects many woman, seemingly independent of weight. Cellfina works by cutting the bands of tissue that cause the dimpling, helping to smooth the skin. The device is a bit more invasive than say CoolSculpting, but still considered a non-surgical approach. For Brzowski, this device seems to offer wholesale improvement in patients. Liposuction is one of the more well-known surgical procedures in plastic surgery, although how surgeons wield the procedure is often misunderstand, or completely unknown. Liposuction removes fat, that’s what the general population knows. What is often missed is how liposuction is used to smooth and sculpt the areas being treated; just removing fat here and there will not help with contour. In fact, contour may be hindered by a rough removal of fat. Non-surgical devices have shown they can remove the fat, but can they improve the contour of the area where the fat was removed? This seems to be the current position held by board certified plastic surgeons. Non-surgical body contouring devices, whether aimed at fat removal, cellulite improvement, and/or skin tightening, absolutely do work, in the right patient. The right conditions need to be met for their use to be warranted and effective. Otherwise, patients may end up spending more time and money to fix an area that could have been done in an hour with liposuction. 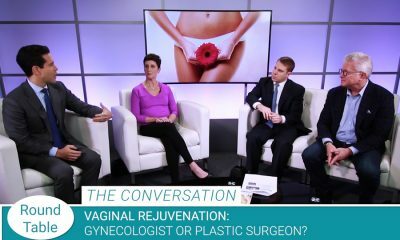 As always, it’s important for patients to do their research on all of the new technologies coming out and ask pertinent questions to their surgeons about how effective they might be considering their own unique body. Armed with the honest information and expectations, non-surgical devices can be huge wins for patients cautious of surgical solutions.